His Grace Ignatie Muresanul is a Research Associate of IOCS. He is a Bishop of the Romanian Orthodox Church and has responsibilities for the Romanian congregations in the British Isles. His Grace holds a PhD from the University of Bucharest on the theme of ‘St Gregory Palamas and the Doctrine on Uncreated Energies’. He is also currently pursuing a doctorate with the University „Ethniko Kapodistriako” of Athens, working on a thesis on ‘The Contribution of Contemporary Romanian Theologians to Inter-Christian dialogue’. Dr Clemena Antonova is a Research Associate of IOCS. 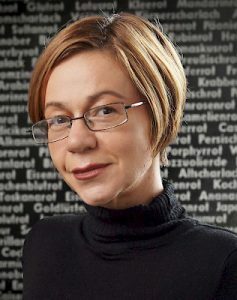 After defending her DPhil at Oxford University, Clemena held a number of research fellowships: at the Institute for Advanced Studies in Edinburgh, the Royal Academy of Belgium, the Institute for the Human Sciences in Vienna, and the Morphomata International Centre at the University of Cologne. Her book, Space, Time, and Presence in the Icon: Seeing the World with the Eyes of God (Ashgate, UK, 2010) was meant as a contribution to the field of “theology through the arts.” Her articles have been published in established journals, such as Sobornost, Slavonica, Leonardo, Cithara, etc. Clemena’s research deals with aspects of Eastern Orthodox theology and Russian religious philosophy with a focus on the Russian thinker Pavel Florensky (1883-1937) and his critique of the icon. Christine Mangala Frost, BA Hons (Delhi), MA (Osmania), PhD (Cantab), is a Research Associate, guest lecturer for the IOCS. A member and former Director of the IOCS, she has served on the organising committee of The Way, as contributor and editor of the box-set of videos and DVDs of this internationally adopted programme for teaching the Orthodox faith. A convert from Hinduism, her writings, lectures and broadcasts explore inter-faith issues. Her work on yoga led to the publication of a handy booklet entitled An Orthodox Posture on Yoga (Conciliar Press, 2012). Her lifelong experience of ‘being Hindu and becoming Orthodox’ has found fruition in her book, The Human Icon: A Comparative Study of Hindu and Orthodox Christian Beliefs (James Clarke: Cambridge, 2017), commended by reviewers as a major contribution to inter-faith dialogue. As Christine Mangala, she has published three novels, The Firewalkers (shortlisted for the The Deo-Gloria Award and the Commonwealth First Book prize, 1992); Transcendental Pastimes; and Looking for a Kingdom. Her fourth novel, Shalimar Gardens, a thriller exploring Hindu Muslim extremism is due to be released soon. Dr Philip Gorski is a Research Associate of the Institute. He has taught at the Universities of London (Goldsmiths’) Loughborough and Nottingham Trent. His Doctorate (The University of Nottingham) was entitled ‘Holy Foolishness, Russian Literature and Christianity’. Dr Gorski has published in the areas of Russian Literature, English Literature and Orthodox Christianity. He is currently researching into Richard Rolle, the English medieval mystics and the eastern Orthodox tradition. He is a member of the Orthodox Parish of St Aidan and St Chad, Russian Tradition, Nottingham, Ecumenical Patriarchate. He is also an Associate of the Monastery of the Holy Trinity (Community of the Servants of the Will of God) Crawley Down, Sussex. Recent publications include: ‘What is a Monk? Monastic Traditions Across East and West’, in Come To The Father (Journal of The Community of The Servants of the Will of God, Christ the Saviour Monastery, Sussex, Easter 2019); ‘The Transfiguration, Orthodox Asceticism and Politics’ in The Grandeur of Reason; Religion, Traditionalism and Universalism. Edited by Conor Cunningham and Peter Candler, (SCM Veritas Prsss 2010). ‘The Staretz In Russian Literature: Five Authors’ in Come To The Father, 2014, Kindred Spirits; ‘Richard Rolle, The Medieval English Mystics and The Eastern Christian Traditions’, (Bluestone Books, 2016). and ”Evelyn Underhill on St Paul the Mystic and the Monastic Ideal’ in Come To The Father, Epiphany 2018. Ralph Lee is a Research Associate of the Institute. He grew up in the UK, and originally trained in Chemical Engineering at Cambridge. He has spent most of his working life in Ethiopia, initially teaching Chemical Engineering, he returned to the UK to study for an MA in African and Asian Christianity at SOAS University of London, followed by doctoral studies on Symbolic Interpretations in Ethiopic and Ephremic Literature, which examined parallels between the symbolic interpretations of the Ark of the Covenant and the Cross in these two traditions. Following this he taught for 6 years at the Holy Trinity Theological College of the Ethiopian Orthodox Church in Addis Ababa, returning to the UK in 2014, he now teaches Eastern and Orthodox Christianity courses at SOAS, and is involved in research on the book of 1Enoch at the Ludwig Maximilian University, Munich. Recent and pending publications include translations of commentaries on 1Enoch, and Ethiopian homilies that refer to 1Enoch. He chairs the Ethiopic Bible and Literature Program Unit of the Society of Biblical Literature, through which he is involved on research on the textual history of the Ethiopic Old Testament, and which has had a very fruitful partnership with the Syriac Literature and Interpretations of Sacred Texts Program unit, particularly focussing on ascetic texts. He lives in Cambridge with his wife Sarah, and two children. Classical Ethiopic (Ge’ez) Literature, particularly bible commentary and homilies; and Ethiopic biblical traditions, in particular the textual history of the Ethiopic Old Testament. Amharic Bible commentary, and the Ethiopian Andemta commentary tradition. The Syriac Christian tradition, and Syriac literature, in particular the works of Ephrem and Jacob of Serugh. More broadly ancient Bible commentary, and its use in particular traditions. Christianity in the contemporary world, in particular: the relationship between Orthodox and other Christian expressions, in particular Protestant/Evangelical traditions; and Orthodox Christianity in post-Communist countries. Language instruction: Classical Ethiopic (Ge’ez), Syriac. 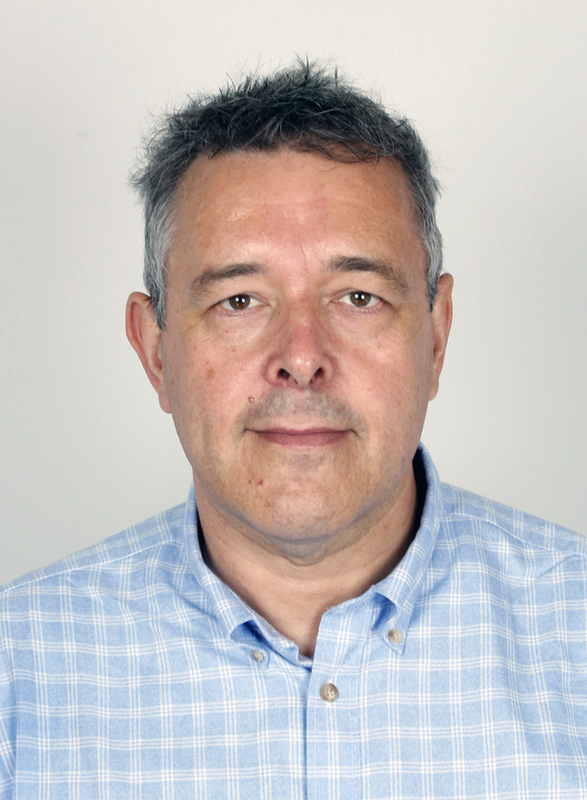 Professor James Pettifer is a Research Associate of IOCS. 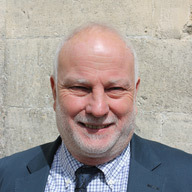 He is a member of the Oxford University History Faculty and St Cross College. Professor Pettifer is an associate of the Historisches Seminar Osteuropaische Geschichte in Zurich University, Switzerland. He was educated at Kings School Worcester, Hertford College Oxford and the Free University of West Berlin. He has been a senior member of St Antony’s College Oxford and Visiting Professor at the Institute of Balkan Studies, Thessalonica and was an Honorary Fellow of the Department of Greek and Byzantine Studies, Birmingham University, UK. Professor Pettifer is a well-known author of internationally recognised works on the region, such as ‘The New Macedonian Question’, ‘The Turkish Labyrinth’, ‘Blue Guide to Albania and Kosovo’, ‘Kosovo Express’, ‘Blue Guide Bulgaria’, and (with Miranda Vickers), ‘Albania-from Anarchy to a Balkan Identity’. He has lectured extensively in the United Kingdom, the United States, Germany, Austria, Italy, Sweden, Russia, Greece, Turkey and the Balkan nations. His works have been translated into Italian, Macedonian, Greek, Albanian, Serbian, Norwegian, Montenegrin, German and other languages. Dr Theokritoff is Senior Research Associate of the Institute for Orthodox Christian Studies and Chairwoman of the UK branch of Friends of IOCS, now living in Cambridge. She studied at Somerville and Wolfson Colleges, Oxford, and earned a doctorate in liturgical theology under the supervision of Metropolitan Kallistos (Ware) of Diokleia. From 1983 to 1990 she served as Associate Secretary and then General Secretary of the Fellowship of St Alban and St Sergius; since 1990, she has been an independent scholar and theological translator from Modern Greek. She taught liturgical theology for a semester at Holy Cross Orthodox School of Theology (Brookline, MA) and has served several times as a visiting lecturer at IOCS. She has had a particular interest in ‘theological ecology’ since 1988-9, when she served as visiting Orthodox Tutor at the Ecumenical Institute, Bossey, Switzerland, for the Graduate School on ‘Justice, peace and the integrity of creation’. Since then, she has given numerous conference presentations, lectures or workshops on aspects of Orthodoxy and ecology. 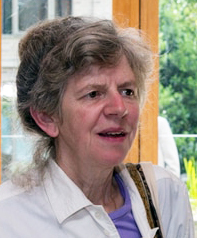 Elizabeth Theokritoff is co-editor of the Cambridge Companion to Orthodox Christian Theology and author of Living in God’s Creation: Orthodox Perspectives on Ecology (St Vladimir’s Seminary Press), as well as numerous articles and book chapters on Orthodoxy and ecology and liturgical theology. Her research interests also include Orthodox theology and science and questions of language and translation. Father Nikolaos is a Research Associate of IOCS. He is a priest of the Diocese of Chalkis (Church of Greece) and holds a BA from the Faculty of Social Theology, National and Kapodistrian University of Athens. He has been in Cambridge since 2006 working on his MPhil and PhD at the Faculty of Divinity under the supervision of Professor Eamon Duffy. Father Nikolaos’ MPhil Thesis is on ‘The Lives of the Saints in Late Medieval England’; his PhD is on ‘The Cult of the Saints in Late Medieval England’. Father Nikolaos is currently doing research on the Sociology of the Contemporary Practice of Pilgrimage with reference to the Pilgrimage to St. John the Russian from Prokopion – Asia Minor (now Urgup – Turkey) to the New Prokopion, Euboea Island – Greece. His research interests include Hagiology, the Veneration of the Saints in Christianity, Lives of the Saints, Pilgrimage in Eastern and Western Christianity.